Edward Ross is an Edinburgh based comic book artist, writer and illustrator. With an early and obsessive interest in cinema and comics, it wasn’t until after studying Film at university that he managed to combine these two interests in the form of his self-published Filmish comics. Well received by both movie fans and academics, Edward released four issues of the series between 2009 and 2013, before beginning work on Filmish – A Graphic Journey Through Film for SelfMadeHero. 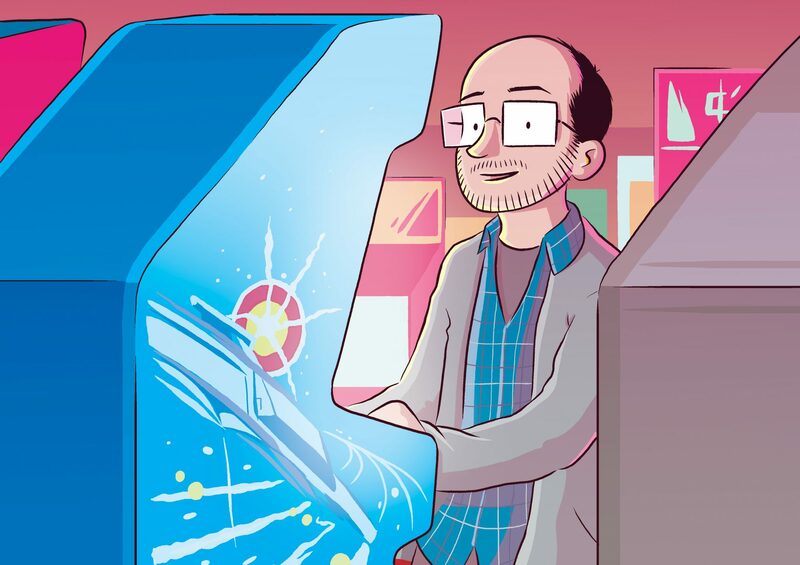 He is now working on Gamish – A Graphic History of Gaming for Particular Books, an imprint of Penguin Press. The book is due out in 2020. Edward has also worked on a series of science themed comics in collaboration with Dr. James Hall for universities, museums, charities and research bodies. He often runs comic classes and workshops. For updates and news follow Edward on Twitter or like Filmish on Facebook. You can contact him here.